Plans to turn an iconic Art Deco building in Liverpool into a £60m complex of offices and apartments have been unveiled. Developers Urban Splash have been appointed by Liverpool Land Development Company (LLDC) to redevelop the former Littlewoods building on Edge Lane. Dubbed "the digital village", it will include 250 apartments, offices, shops and a 100-bed hotel. A glass structure is planned to stand at the top of the famous clock tower. It was built in 1938 by the Moores brothers to house their football pools business. The tower has unsurpassed views of Liverpool, the Wirral and the Welsh mountains. LLDC's Chief Executive Ian Hassall said: "The building has a fascinating history and deserves a new lease of life, creating new residential space and employment opportunities." Urban Splash have previously worked on The Matchworks in Liverpool, Fort Dunlop in Birmingham and the Smithfield Buildings in Manchester. Their managing director Bill Maynard said: "Our proposals will restore and enhance this much-loved building and our investment of over £60m will transform this area, making it a great place to live and work." Last edited by kat2; 07-26-2007 at 08:28 PM. The devil's in the detail. . Interesting what they plan for the tower-they're gonna put a glass cap on the top of it and light it up from the inside so it looks a little like a lighthouse! How to ruin a fantastic icon. What an utter t*rd! 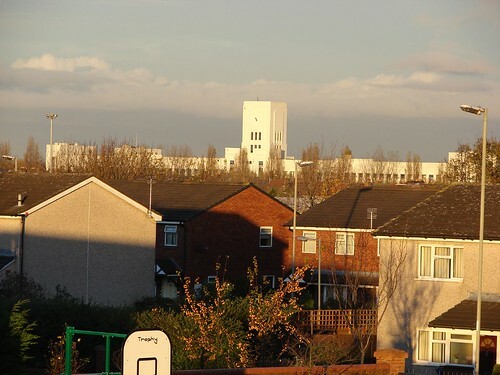 littlewoods is an iconic building. not sure where that came from * * but I am pretty much certain it wouldnt make the grade. and I dont think urban splash would be too pleased either considering there all for conservation. LITTLEWOODS’ former art deco headquarters in Edge Lane will be given a new lease of life under multi-million pound proposals earmarked for the go-ahead next week. 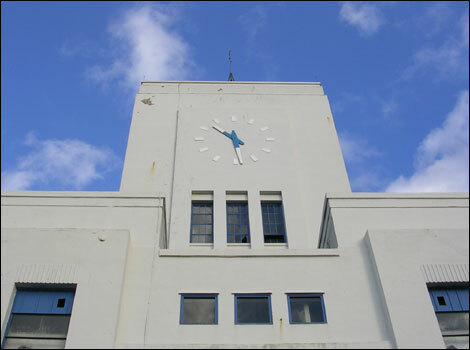 Urban regeneration developers Urban Splash want to transform the landmark building, built in the 1930s for Littlewoods Pools. The company wants to retain the famous tower and west wing of the building, saving the facades, and building 276 apartments on five storeys within the building. They also want to build four pavilions to house a hotel and offices, as well as retail units, restaurants, pubs and bars. Council planning officers are recommending the go-ahead. Planning managers say the west-wing building and tower have an iconic status. Last edited by Cadfael; 10-17-2007 at 11:53 AM. Plans to turn an iconic Art Deco building in Liverpool into a £60m complex of offices and apartments are to go before planners. The building was built in 1938 by the Moores brothers to house their football pools business and is seen by thousands of motorists a day who use the M62 for access to Liverpool city centre. Urban Splash has previously worked on The Matchworks in Liverpool, Fort Dunlop in Birmingham and the Smithfield Buildings in Manchester. Rob Monahan, from Liverpool Land Development Company, said: "This is a significant building both in terms of the history of Liverpool and the area. "Most people know somebody who's worked inside the building. "We want to preserve all that for the future." If this gets the go-ahead this will mean cutting out large parts of the interior and inserting a massive steel frame inside to prop up the building before refurbishment. Councillor Frank Doran, who represents the area, said: "This is has been a historical building and this represents the area at its most vibrant when thousands of people worked here. "Now the site is showing the resurgence of the area. "I think it would make a significant contribution to the area and to the city as a whole." Why have these morons got to ruin everything? remember the fourth grace? More like dis-grace - thank God it never materialised. I've no problem with modern architecture as long as it is done in a tasteful manner but that earlier impression is an eyesore. 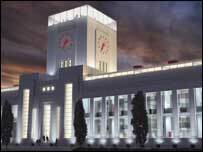 Anyone know where I can find any old photos of the Littlewoods Building, ideally from when it was built/finished? Nothing much to dislike about it but as you say it's a matter of taste - I liked the Cloud; it would have been so much better than the 'Black Leanies' that actually are getting built. Great picture but what are they green hills/bushes etc in the background? Is it still Liverpool or elsewhere? I think thats the knowsley area Angelcake, possibly Knowsley Park, and the Safari Park. The three blocks of flats are Stockbridge Village. Last edited by corky100; 09-22-2009 at 12:10 AM. Try contacting Littlewoods Pools ? I remember they published an illustrated booklet, 'From this Pool a Sword', which told the story of the company's involvement in the war effort. It's possible they may still have a few lying around! Barrage balloons were manufactured in the Edge Lane building (there was no first floor then) and Shackleton nose cones were built in the Walton Hall Avenue building. The tower of the Edge Lane building was originally only half the height it is today and was extended in the '60's. The original plan was for this to be the flagship building, with the Moores brothers, John and Cecil having offices there. However, all the directors were based in the WHA branch, perhaps because it was easier to get to from their homes in Formby! Never put anyone on a pedestal... THEY'LL LOOK DOWN ON YOU! Thinking on, Mrs Corky had 27 years service before leaving Littlewoods 4 years ago. She does have old(ish) books, with lots of old photos that the staff could buy. But she was based in the Walton site. I could look through some of these, but they will be of various people, in various sites, I believe, so might not bear much fruit. I'll see whats in them.